Mecool KI Pro. It is a mid-range model that appears to retain all the major features of the bigger one reviewed here at a lower cost while adding the Nougat version of Google’s operating system. The KI Pro model arrived in a similar white box like the KIII Pro . 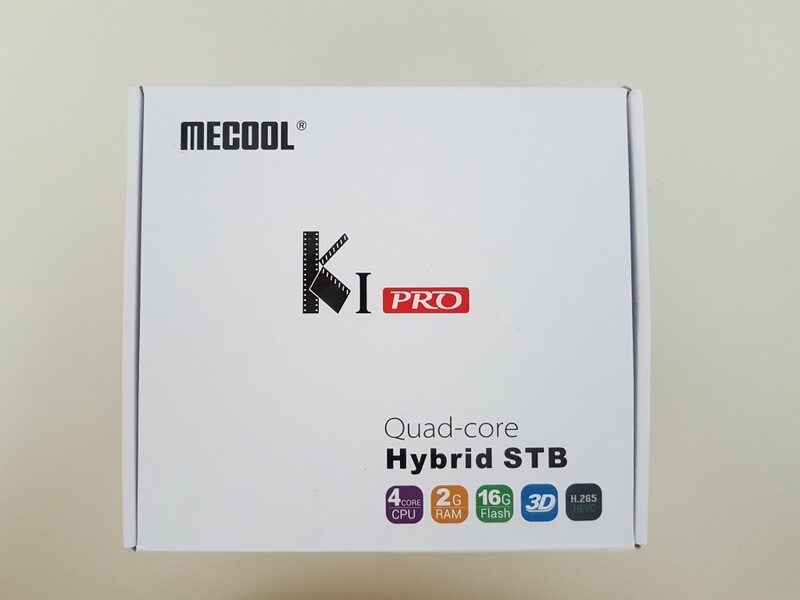 KI Pro is equipped with Amlogic’s latest S905 revision (D) SoC (same as S905X with support for DVR features) with Mali 450 assisting in the graphic processing department. I/Os feature 4 x USB 2.0, 1 x optical out, HDMI 2.0a (4K and HDR support, HDCP2.2 compliant), one A/V out and a SD slot (up to 32GB). Dual band Wi-Fi, Gigabit wired Ethernet and BT4.1 completes the networking setup the best possible way. Dual tuners (T/S) are included with up to 4K support. For a hybrid set top box, the specifications are impressive and among the best you can find in the market. Android 7.1 (Nougat) is the selected operating system. KI Pro looks almost the same as the KIII Pro with the only main difference being the lack of the “soft film” that covered the plastic surface of the later. Other than that, the squared black design is rather plain, which is not a bad thing. All four USB ports are located on the side so cable management will be required in case you storage your videos/photos in external drives. All other I/Os are at the back including the connections of the S2/T2 antennas. A light blue led is lit during operation but it will not distract you during viewing. It turns red when in standby mode. The remote has a classic design. The buttons layout is very good (and very easy to learn and remember) and it also integrates a numeric keypad for your convenience. Menus are exactly the same in all Videostrong’s lineup. We have seen it again in all Mecool and Yoka TV products. The main menu is simple with one main screen, only featuring the basic options (KODI fork, File manager, Settings, Web Browser and apps) with the possibility to add shortcuts. It is clean and simple, with a useful clock widget in the middle. Settings menu is the classic Android 7 one. It appears as an overlay at the right side of the screen and it is now much more user friendly than its previous versions. All the settings you will ever need (resolution, audio, network, accounts, memory and application management) are easily accessible and you will set up the KI Pro in no time according to your liking. Terrestrial and SAT viewing is handled from a dedicated application named DTV. Judging from Videostrong’s comparison list (see above), we can expect similar performance in almost all areas with the exception of applications benefiting from raw SoC performance (S905D is not as fast as S912). On the other end, the Nougat version may bring features that were missing from the previous versions like HD Audio passthrough. As expected, audio files playback flawlessly (mp3, flac) in all audio players, KODI (named as TV CENTER) and the external one. Video playback was handled very nice. S905D SoC provides very good 4K acceleration and playback performance proved to be equal to the S912 SoC based KIII Pro. HDR is supported although there are no such options in the display settings. 1080p playback was flawless, even for high bit-rate BLU RAY backups. Audio pass-through is now supported thanks to Nougat operating system. Down mixing to stereo was also possible. Network performance is great and as expected based on the spec list. Via Wi-Fi, 1080p video files can be streamed perfectly (if you have of course a good AP) and through the Gigabit wired interface playback of very high bit-rate files is also handled with ease. Hybrid T2/S2 performance was more than great and on par with the more expensive KIII Pro model. Via the (same with KIII Pro) DTV application you can browse through both tuners. 4K Sat channels are still supported here and not restricted to 1080p as someone would expect from a lower model. The menu system is easy and will not require special knowledge from the casual user. There are available options for all type of satellite dishes. In our unit, scanning of both T2 and S2 content was handled quickly and quite successfully even in cases with a not so great signal/strength. CCam, BISS and PowerVU are supported for those interested through a smart data manager menu that is not easily accessible. Recording is of course supported and you can schedule it if you wish but the KI Pro will not wake up from standby mode in order to do so. KI Pro also support cable DVB-C, but we were not able to test such features due to their unavailability in Greece. Gaming is possible, especially with l2D and/or light 3D titles. This is the only area were the S912 SoC actually shows better real world performance. Internal ROM and USB2.0 performance are decent for the price range. Once again, Nougat proves it is a major step up in the Android media player (crowded) world. Navigation to the menus, multitasking and responsiveness is now better than ever. As expected, Play Store is here and you can choose any application and game from Google’s huge catalogue. You will find some 3rd party applications and add-ons pre-installed. No bloatware though. The device is not rooted, and there are OTA update options. 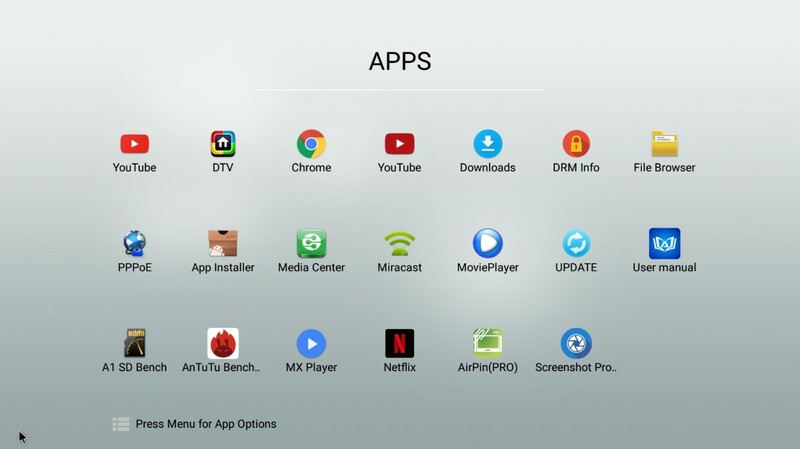 For a Hybrid set top box like this one, support is crucial and this is an area where Videostrong really shines with a plethora of OTA updates and fixes. The latest one right now is not available from OTA but you can install it manually. You can find the latest ROM version here. KI Pro is the natural successor to the KIII Pro even though it sports a less powerful SoC (but still adequate for all major tasks). All the major features from the bigger model are here, and there are some added ones as well (DVB-C, HD Audio and Android 7). 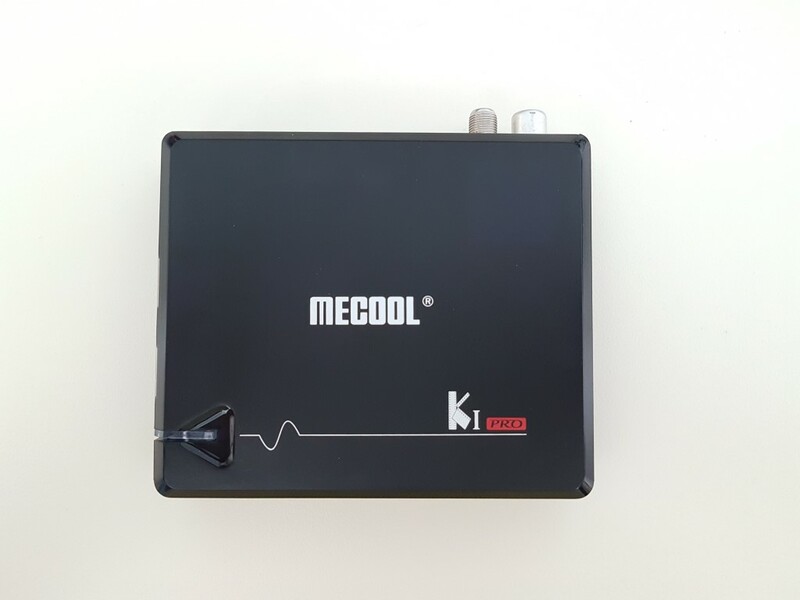 Considering that the price is much lower, the KI Pro is a must for those seeking very good multimedia performance combined with great hybrid DVB features. Add to the above Videostrong’s amazing support and you end up with a hybrid set top box that will keep you company for a very long time. You can purchase KIII Pro from Geekbuying and Gearbest in a competitive price. Special thanks to Kostas for his great help in the SAT testing!